After the hype around the cypton currency Bitcoin, it is now time to take a serious look at the enabling blockchain technology. Learn about the true potential of Blockchain to embed the technology into your digital strategy. In the blockchain seminar you will learn on how the emerging technology has evolved beyond the financial sector and will change the way we manage data in many industries. You will gain insights into facts and reflections on the strengths and weaknesses of the technology. We answer which use cases make sense and explain concepts, such as smart contracts, peer-to-peer networks and consensus algorithms. Experts explain the opportunities and challenges and give you insights into future developments. The Blockchain seminar will explain the fundamental functionalities of the technology, show differentiation characteristics and illustrate future developments. 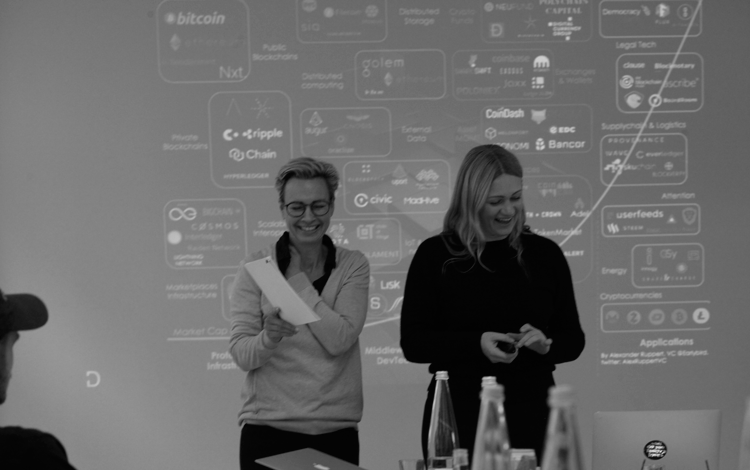 With the acquired knowledge you will be able to understand the different concepts of blockchain solutions and to successfully navigate your companies digital strategy. Join one of your seminars. Check out upcoming dates on http://decrypt.world. Or contact us if you want to set up individual corporate event!